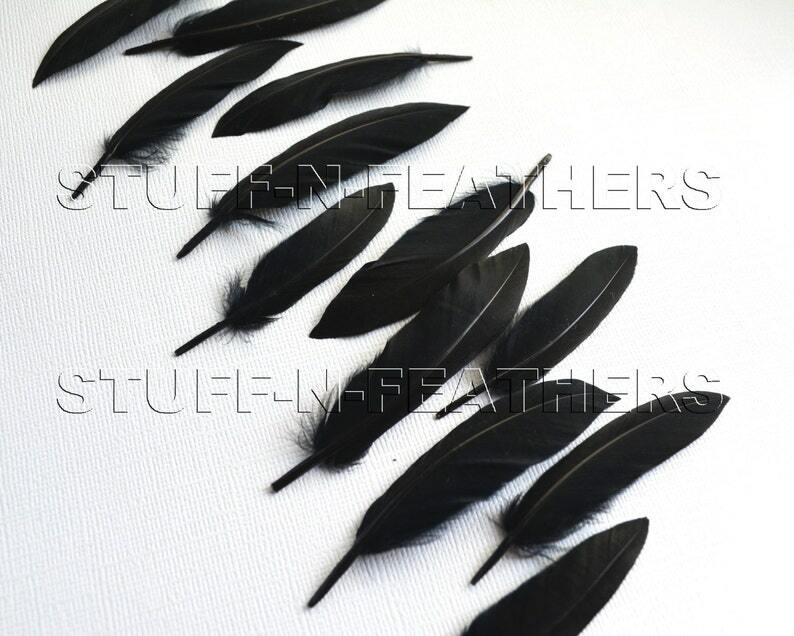 This is a listing for 60 premium hand selected premium duck cochettes feathers. These are hand selected wider curved cochette feathers, stiff feathers from domestic white ducks. 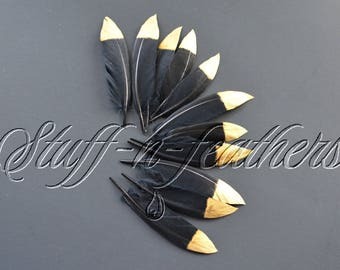 These feathers are well suited to mask, head dress, jewelry making and other applications where a short, stiff feather with clean brilliant color is needed. They are also small enough for making unique jewelry pieces. 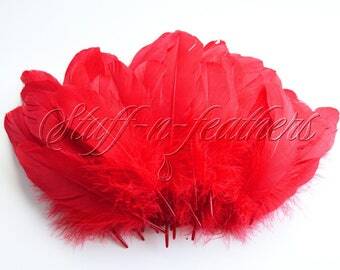 *This is a natural feather, and the shape and width may slightly vary. These feathers are dyed over white. They are beautiful silky black color and have strong stiff stem.